Track all your expenses, incomes, bills and loans to find out what happens to your money. 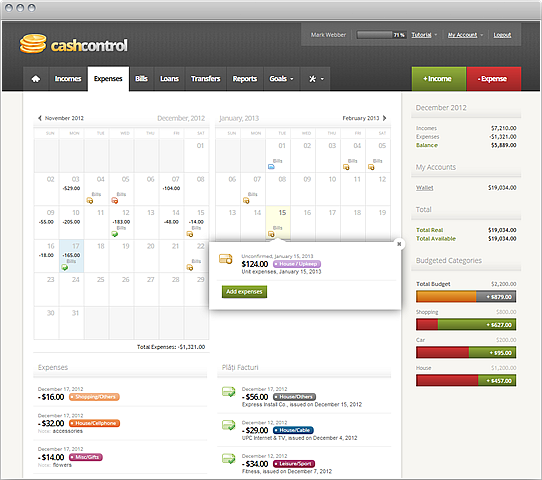 Use CashControl to take control of your personal finances and learn how to save money. Income and expenses are the basic blocks of any bookkeeping software. Wherever you are in the application, adding an income or expense is just one click away. To keep a better track of your expenses, CashControl lets you organize them into categories that you can easily budget and follow in realtime. Did you ever forget to pay a bill? CashControl automatically manages your recurring bills and reminds you of your due payments so you won't miss a payment again. Revenues rarely come from unexpected sources, so CashControl allows you to create recurring incomes (salary, rent, etc) that are automatically added to your account. 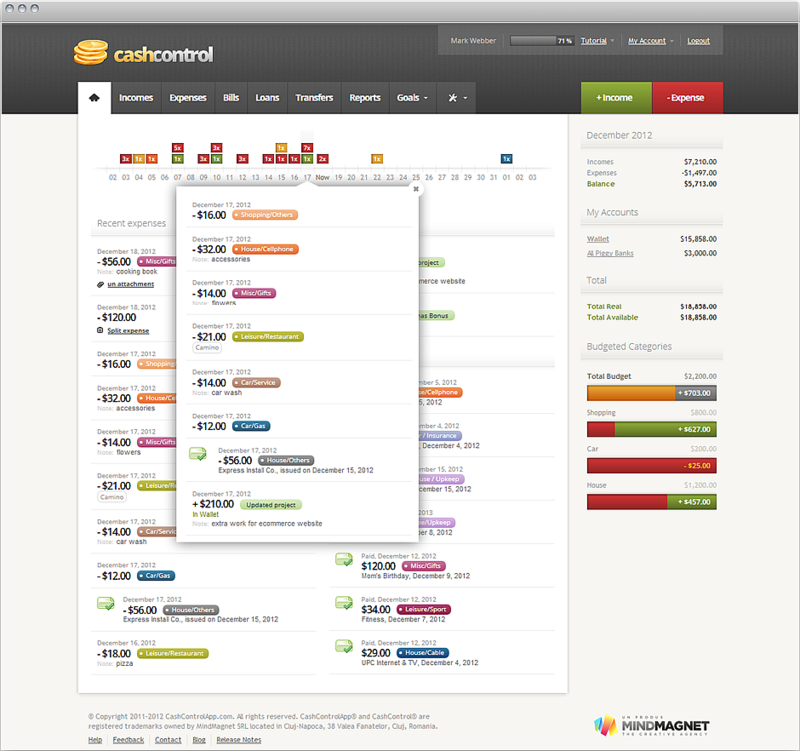 CashControl lets you organize your money into accounts and gives you real-time balances. You can also manage your credit cards' overdraft. CashControl allows you to have an excellent financial management of all loans and their refunds. You'll never forget to pay back a load again. With detailed reports on expenses, incomes and loans you can closely monitor your financial health and know exactly what you spent your money on. CashControl is accessible from any web-ready device with Internet access, but you can also use the iOS and Android native apps to make your accounting job easier.